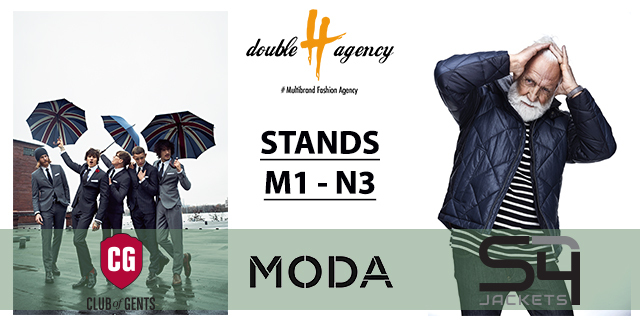 From the 19th to the 21st of February buyers will have another chance to catch up with Double H Agency outside of our showroom, as we will be taking a part in Moda Gents Autumn/Winter 2017 edition with an amazing one roll stand from M1 to N3 plus L21. With over 1450 brands on offer, Moda has come to encompass menswear, womenswear, swimwear, lingerie and footwear, making it one of the leading UK’s trade shows. As per usual this year’s autumn/winter edition will be taking place at NEC Birmingham and Double H Agency will be presenting five of its menswear brands at Moda Gent – Club Of Gents, S4, JT Ascott, Haze & Finn and Carlos Cordoba. Buyers and visitors will have a chance to discover German label S4 Jacket‘s excellent craftsmanship through its stunning coats and jackets at stand M1. Right next to S4 Jackets – at stands M2 and M3 respectively – we’ll be showcasing German label CG – Club Of Gents and Belgian label Haze & Finn. CG – Club Of Gents’ A/W’17 collection promises to offer smart, contemporary and playful suits together with a multitude of fashion-forward separates, whilst Haze & Finn’s trendy, fun and timeless approach to men’s casual smart fashion and tribute to the Arctic is sure to stand out at Moda. Customers with a love of high-quality shirts will be happy to know that Belgian brand J.T. Ascott’s incredible variety of shirts can be found at stand L21, whilst Spanish labels and sister brands Carlos Cordoba and Peter Montana will have their colourful, printed and lovingly crafted shirts and trousers on display. In short, Double H Agency will have a fab selection of menswear brands on offer for buyers who are looking to offer something exciting, classic and commercial. And if it isn’t enough we will be there with the casual menswear brand Casual Friday at N2 with his scandi minimal look. Moda Gents AW17 will aim to thoroughly inform and entertain all its visitors and exhibitors with an insight into the current business of fashion and retail, as the trade show will host a series of business focused seminars and catwalk shows throughout the three days. It will also serve as an excellent opportunity to network as there will be after show parties on both Sunday and Monday as well as a Moda Gent’s Happy Hour in the Gent plaza from 5 to 6pm on those two days. 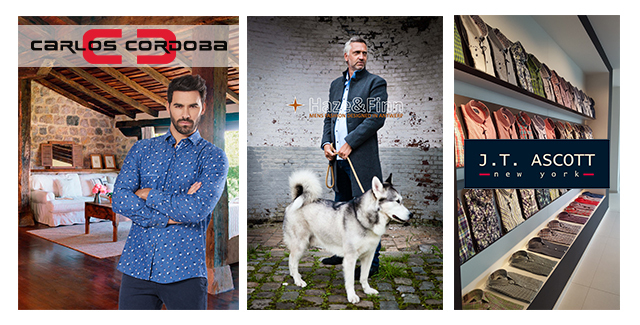 Don’t miss this fantastic opportunity to discover our amazing brands and network away… Pay us a visit at our stands or alternatively email or call us beforehand if you would like to book an appointment with us at Moda Gents in Nec Birmingham – we look forward to seeing you there from the 19th to the 21st of February!